Last week, the Food and Drug Administration issued a stern warning to biohackers in America: Undertaking DIY gene therapy, it warned, is risky, and selling the supplies to do it is flat-out against the law. “FDA is aware that gene therapy products intended for self-administration and ‘do it yourself’ kits to produce gene therapies for self-administration are being made available to the public. The sale of these products is against the law. FDA is concerned about the safety risks involved,” the agency said. The statement came on the heels of two very public demonstrations of unregulated, do-it-yourself genetic engineering. In one, a 27-year-old software engineer injected himself with an unproven gene therapy for HIV while streaming live on Facebook. In the other, a well-known biohacker injected himself with a gene to promote muscle growth at a San Francisco biotech conference. New genetic engineering technologies has spurred a burgeoning movement of biohackers doing sophisticated science outside of formal labs. Until last week, though, regulators have mostly stayed out of it. The FDA’s brief statement raised many questions. For one, the agency singled out CRISPR in particular as a subject of concern, noting that it “considers any use of CRISPR/Cas9 gene editing in humans to be gene therapy.” But what about other gene editing techniques, of which there are many? It also offered no details on which regulations selling DIY gene therapy supplies violated, or how it planned to enforce those regulations. After the initial warning, Gizmodo reached out to the FDA for clarity on how it might affect the biohacking community. For one, the agency, made clear, it’s not just CRISPR: “Gene editing in humans by any method would be considered gene therapy regulated by FDA,” a spokesperson said, noting that it only mentioned CRISPR because it’s such a buzzy word. And the selling of kits, it seems, would be considered illegal because, in broad terms, the agency would consider it the sale of any unapproved “gene therapy product” akin to the sale of an unapproved drug. If someone wants to test an unapproved drug in humans, they must first clear a clinical investigation with the FDA. A clinical investigation, described in title 21 of the Code of Federal Regulations, part 312.2 is defined as: any experiment in which a drug is administered or dispensed to, or used involving, one or more human subjects. An experiment is any use of a drug except for the use of a marketed drug in the course of medical practice. The clarification makes it appear likely that the warning was motivated by the October experiment involving the unproven gene therapy for HIV. While the subject of the experiment actually injected the vaccine himself, its development was paid for by a company, Ascendence Biomedical. The company plans to sell the “research compounds” used to make the vaccine online and to fund “transparent” clinical trials that would skirt typical regulatory oversight by having people deliver their own treatment. The initial experiment raised significant concerns because there has been no human clinical trials of such an HIV treatment to date. Ascendence Biomedical says it has no plans to change course based on the warning. Zayner also says he has no plans to heed the agency’s warning, because he feels it does no apply. The FDA would not offer further detail on which products it specifically considers in violation of its regulations, or how it might penalize those that violate them. 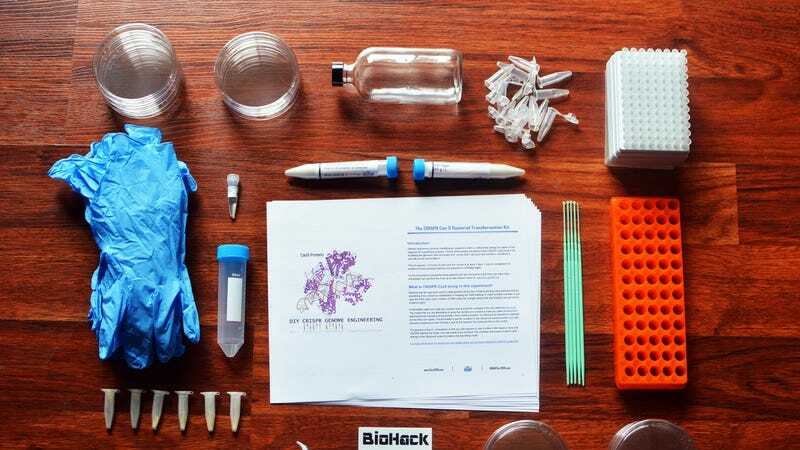 In the past, with a few exceptions, the regulators have largely left biohackers alone. The FBI has even gone so far as to cultivate a friendly relationship with them. At least as far as the FDA is concerned though, that laissez faire attitude may be a thing of the past.